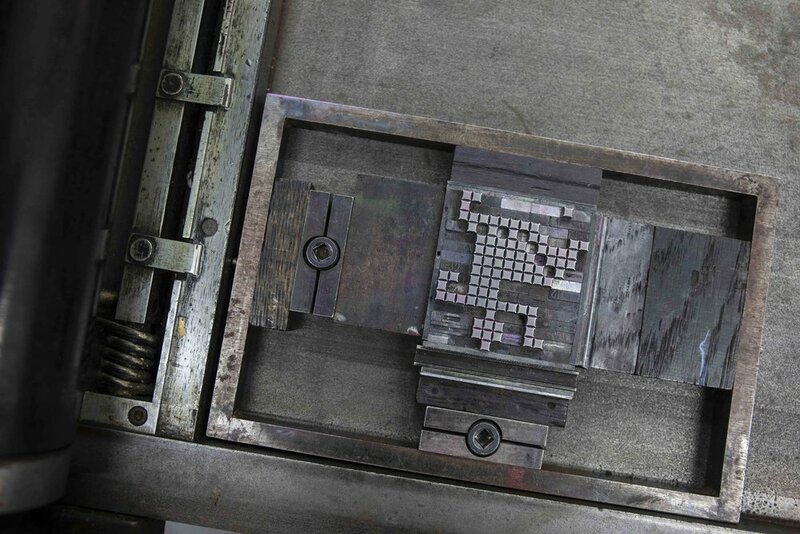 The Letterpress Collective is the Department’s very own printshop. It provides design and print services, as well as running courses and workshops that keep the craft of letterpress printing alive in the city. Silently, and without anyone really noticing, the last commercial letterpress printer shut its doors in Bristol in 2012 after maybe 600 years of continuous work in the city. Nick Hand saw a chance to learn from the last of the printers and compositors in the city so that a new generation can understand and learn the thrill of working a small press and seeing your creation in ink on paper. Since 2013, The Letterpress Collective has been gathering beautiful wood and lead type as well as collecting amazing printing presses including a lovely Heidelberg Windmill Platen (winched out of the store MShed by dockside crane), a Stephenson Blake proofing press and a set of nice little Adana hand presses. Printer Ellen Bills runs the presses for the wide range of projects that pass through the printshop and also the regular workshops and courses. 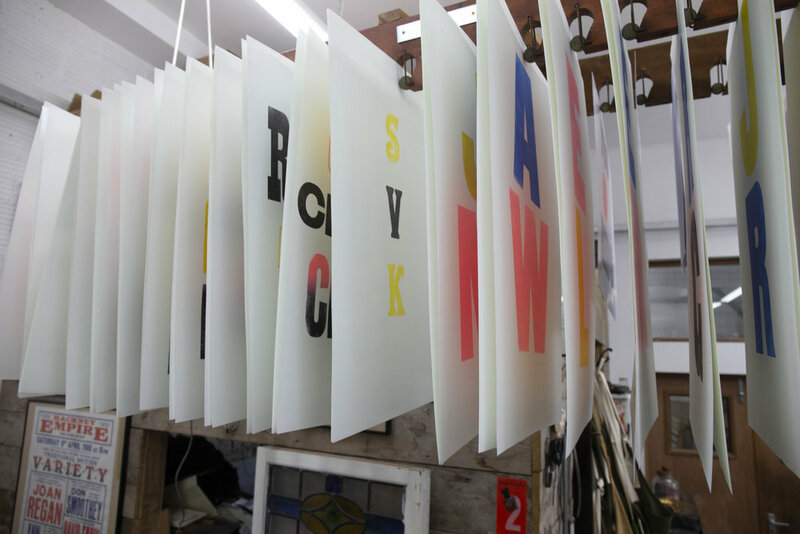 The Letterpress Collective is the print room of the The Department of Small Works, both reside in Centrespace, a cooperative of artists and craftspeople located in Bristol's Old City. Two films that include conversations with Nick about the Letterpress Collective.